For $299 the HA-2 is a seriously excellent sounding convergence DAC/AMP and miles ahead of the FiiO E18 and Cayin C5 in terms of detail but tonally it does sound more in line with the Ibasso DX90 than the Celsus Companion One given even though all three use the same ES9018K2M DAC chip. What that means is that the Oppo HA-2 opts also for a relatively neutral tonality but sounds a bit more analytical and thinner than the slightly more natural and fuller sounding Companion One. Unlike the Companion One that more precise and clean sound of the HA-2 has a slight tendency to show the Sabre glare in the top end than the Companion One which means it tends to come across as a bit harsher in the lower treble especially with percussion or cymbal work. The Companion One on the other hand sails through the upper end without any hint of glare. The HA-2 is really more in keeping with the house sound of the Sabre DAC chip family and does not veer too far off the HA-1 tonality either in that respect. Much like the DX90 it excels in articulation and treble clarity combined with good lower end dynamics. Oppo have been a bit clever in adding a touch of warmth to the bass response allowing the HA-2 to retain a musical edge and prevent any overly cold or sterile presentation. They have also put enough restraint in the top end to ever stop it becoming distracting or too grainy. There is some fizz in the top end but never to an extent that I would term it as overly “bright”; simply clear and vibrant will suffice. Throw in some Ellie Goulding’s “Hanging On” with those pristine almost ethereal vocal solos and an equally temperamental IE800 treble range and surprisingly the HA-2 remained very much in control throughout without descending into any sibilant chaos. The HA-2 bass response though is powerful yet tight and with the added option of the bass boost can be quite apt in delivering a low end punch that sometimes the Companion One and the DX90 fall short off in comparison. Both the DX90 and the HA-2 have some nice dynamics but the HA-2’s more powerful amp pushes it ahead delivering plenty of weight but with good definition and decent speed. 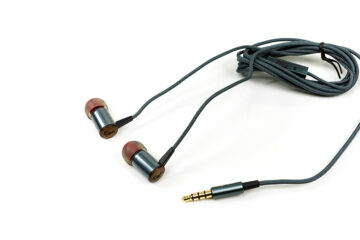 The HA-2 is relatively versatile in matching and driving low impedance earphones and headphones up to around 300ohms. It can also do a decent job with planars in terms of power though with mixed results. Its clean, clear tonality with articulate and present treble performance and dynamic bass reproduction for me is always going to be a perfect candidate for matching with their very own PM range of planars. You cannot avoid the possibility, neigh probability, that Oppo had this in mind when creating the HA-2 as a portable DAC/AMP. Given the excellent low load required to drive the PM series there is no issue at all from either the PM-1 or PM-3 with volume sitting at a very healthy 3/5 on high gain (phone software volume mapping at 80% to the DAC) for both units. The slightly warmer and darker consumer sensibilities of the PM-1 are a great balance to the dynamics and clean airier tones of the HA-2. Speed and detail was above average and the laid back treble performance of the PM-1 reduced the HA-2 glare to barely noticeable levels. Note though I think using the bass boost option on the HA-2 with the PM series especially with anything bass heavy felt a bit too forward and dominant to the expense of the rest of the range. Otherwise the HA-2/PM series planars were a really good long term listening match for just about any modern rock or pop genre I threw at it. Pairing the HA-2 and the MrSpeakers Prime didn’t quite have that instant match the PM series had. The Primes do need a lot more power than Oppo’s highly sensitive planar range so whilst the HA-2 capably served up decent volume (100% mobile phone volume mapped to the DAC with the analog pot set to 4/5) it didn’t allow the Primes to really soar. The Primes vivid and dynamic presentation felt a bit duller and less engaging and that unbelievable 3D presentation started to feel just a bit 2D paired with the HA-2. The Primes were also a bit more revealing of the HA-2 lower treble glare that the PM series did so well to play down. Not by a huge amount but a bit more noticeable. Using high gain and bass boost though you can get decent weight on the Primes bass response with excellent speed and definition but the Primes relatively linear and flatter bass signature does nullify the HA-2 bass prowess a bit more than with easier to drive cans such as the PM1 and PM3. The Primes seem for me to be just a bit too far for the HA-2 tonally and do need something a bit meatier and perhaps warmer to shine such as desktop amp. I actually found the HA-2 to be quite flexible and a very capable performer with portable dynamic headphones. Those with a relatively neutral or warmish signature excelled with the clean airy signature of the HA-2 over brighter variants. I wasn’t so much of a fan of the HA-2 with a stock K550 or anything with strident treble signatures but other headphones blew me away unexpectedly. I absolutely adored the pairing with the NAD HP-50. The detail and speed was just excellent and far more convincing than paired with the Prime and even the Oppo’s own PM range. The HA-2 dynamic range was reproduced very faithfully with the HP50’s flatter neutral signature. The HP50/NAD HP50 had no issues with power either in low gain or high gain with my preference being low gain, Android mapping at 90% for software volume control and the analog amp sitting around 2.5-3/5. High gain dropped it down a few notches but with zero unwanted or unwelcome changes in the noise floor and general sound signature. This pairing was tight, very tight indeed with probably the best vocal production in terms of sibilance control and decay accuracy out of all the portable closed cans I tried. I also linked up the HA-2 to the V-Moda XS and although it was considerably less expansive than the HP50 on the HA-2 the pairing did retain a relatively smooth performance with a treble range that didn’t sound overly tizzy, a forward midrange with an above average focus on the vocal presence but a relatively narrow and intimate soundstage. More of a limitation of the XS than the HA-2 it has to be said. Power demands using the XS was considerably lower than the HP50 though on low gain, software mapped at 60% to the DAC and 3/5 on the analog pot. I would hazard a guess and say more than 75% of the users of the HA-2 will buy it with a view to pairing with a portable source and an earphone of one sort or another. 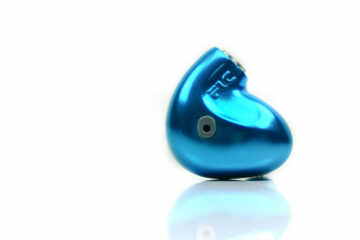 IEM’s bring to focus a bit more on potential noise levels due to their normally elevated levels of sensitivity. The Theorem 720 usually falls foul of this but thankfully the HA-2 does a great job of avoiding most of these noise pitfalls. Customs such as the UM Merlins, AAW W300AR and the Visions Ears VE6X are noise free and well under control on low gain, 2 on the analog pot and 60% software mapped from my Sony Z Ultra. The Merlins in particular benefit from the HA-2 neutral and clean signature sounding a little more forward than I remember them particularly its vocal presence and lower treble. Rather pleasingly any semblance of glare in the lower treble goes out the window with the hybrid Merlin. It won’t give you the airiest presentation but neither will it grate or distract with cymbal work thankfully. I was also very impressed with the AAW W300AR’s match up with the HA-2 using the stock Vitesse cable which I felt was the wrong cable choice to bring out the best in this very natural sounding custom monitor. Whilst still lacking a little bit of headroom and air and requiring about 1 notch more in volume than the Merlins the HA-2 did a great job in bringing out a little bit of snap and vitality to the excellent midrange. Something that I was aiming for with the Twag V2 cable swap in my review was almost achieved with the HA-2’s own sonic character. More accessible universal earphones also performed very well indeed with the HA-2 with some common perceptions of how some pairings would go thankfully not materializing such as the treble tricky IE800 which largely behaved using both the PC and OTG connections. I was half expecting the traces of lower treble glare in the HA-2 to amplify with the IE800 and produce a really uneven experience but in actual fact it remained relatively low profile with a greater emphasis on articulation and detail which both the HA-2 and IE800 are pretty good at. The dynamics of the HA-2 also suited the IE800’s superior sound staging and bass performance. Atmospheric synth driven tracks such as Francisca Valenzuela’s “Armadura” sounded fresh and snappy with a reassuringly responsive bassline on the IE800/HA-2 match. My personal preference though would be the slightly cheaper BA Westone W4 over the IE800 when paired with the HA-2. The Westone’s doesn’t convey the same level of detail as the IE800 but paired with the HA-2 it has an inherently smoother and more relaxed treble performance for me. It also has a more coherent bass response that makes it a bit more flexible for rock and synth work or anything that doesn’t require huge sound staging. When on the go from the office etc I am not that fussy about extracting the last ounce of detail preferring instead to pair with musical sources or earphones and the W4 is hard to beat in that respect outside of customs. The W4/HA-2 pairing had zero noise issues, super easy to drive on low gain (2 on the analog pot, 80% mapping to DAC from my iPad) and a nice easy going temperament, good vocal presence with no sibilance and just a slight touch of glare but rarely distracting. The HA-2 has a better range of decoding capability than the Cypher Labs Picollo AMP/DAC which in comparison can sound a bit too rolled off and warm with less headroom than the HA-2 is capable of delivering on. The DAC chip of the Picollo DAC is a Texas Instruments PCM2704 DAC limited to 48k and only compatible with Android devices so resolution and decoding wise the chips are all in the hands of the HA-2. Cypher opted instead to avoid the Apple certification costs instead and go 100% OTG. The treble extension and clarity of the HA-2 outshines the more mid centric Picollo amp and the bass dynamics on the HA-2 are more engaging. The Picollo though does have a nice easy laid back tonality with vocals sounding very natural and grain free. That slightly softer tonality of the Piccolo some might prefer for long listening periods but I give the HA-2 the edge in terms of clarity, dynamics and decoding capability. The Theorem 720 is far more expensive and a better performer with less sensitive earphones and headphones with little or no comparative lower treble glare compared to the HA-2. However the HA-2 is more agile and capable with the majority of sensitive earphones and IEM’s which nearly always end up being nosier when run out of the Theorem 720. The 720 is going to be a hit or miss on that level though once in its stride it is just that bit more natural, engaging and fuller sounding. Do bear in mind though the Theorem 720’s Android capability was more of an afterthought and not universally OTG compatible and in most cases only USB Audio Recorder Pro will work with it. It is also a bit ugly compared to the more modern looking HA-2. The E5 from Creative sounds much harsher and definitely more uneven in the treble range than the HA-2 and cannot resolve beyond 24/192 compared to the HA-2. Whilst both have decent dynamics the more polished sound came from the HA-2’s performance. The IE800 plugged into the E5 sounded very unnatural compared to the superior performance from the HA-2. Granted the E5 has a lot more features than the HA-2 such as BT, optical, a microphone system and tons of software controlled EQ and gaming options but as a pure sound reproduction convergence device it does have some way to go to matching the HA-2 in that respect. The HA-2 in comparison to say the Fostex HP-P1 is cleaner, more forward and dynamic than the rather more liquid and warm laid back tones of the HP-1. Which is preferable in tonality will really come down to which type of presentation works best for you and your cans. The Fostex amp is relatively weaker than the HA-2 at 80mW and taps out long before the HA-2 struggles with higher impedance cans such as the HD700 or planars such as the LCD-2 rev 2. 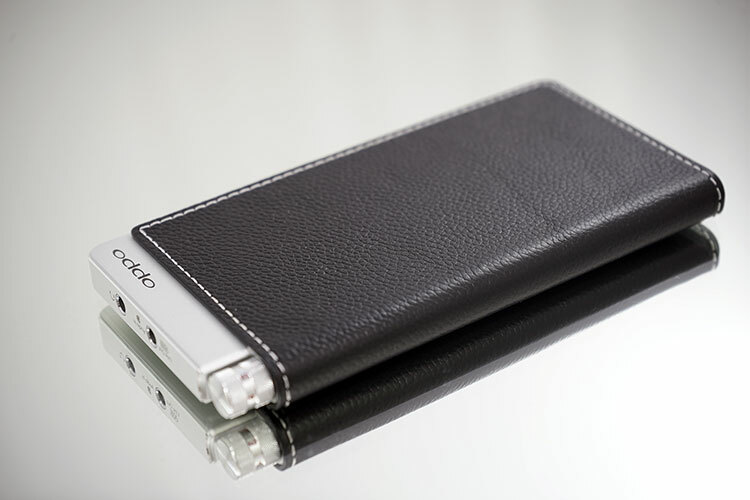 The HP-P1 also has no android capability and has a analog line in only meaning pairing with Android is going to limit you to the Android device DAC. In its favour the HP-P1 does have an SPDIF out when paired with iOS devices whereas the HA-2 lacks any sort of SPDIF output. Lastly the budget king FiiO E18 which about 30% cheaper, similar form factor to the HA-2 and also had many of the features the HA-2 has including a bass boost, power bank options but with a few more thrown including USB DAC playback controls. The E18 though decoding tops out at 24/96 compared to the HA-2 DSD256 level capabilities and doesn’t cater to markets beyond Android and PC/MAC officially. Tonally both are neutral with decent headroom but the HA-2 sounds more polished with less grain and greater detail than the E18. And so it should be given its higher price tag but then again the AK10 was $299 also and is a forgettable toy compared to the HA-2 and even the E18 so price is not always a good guide to performance.